Contemporary legal practice has developed powerful contractual mechanisms to mitigate the political risks attendant on energy projects. However, until now most of what we know about the contractual management of these risks has been based on theoretical literature and the facts of cases rather than careful empirical study. This one-of-a-kind book breaks new ground. The author presents the results of a questionnaire-based survey circulated to the main players in the petroleum sector, revealing actual existing contractual risk management techniques and showing a true picture of the political risk situation in the petroleum sector. Going far beyond an analysis of the literature, the research includes in-depth interviews with specialist lawyers and representatives of companies who have not only a theoretical knowledge but practical experience with the problems of host government interventions, as well as with international petroleum negotiators, members of international organizations in the petroleum business, and dispute settlement bodies. • What tools are available to manage political risks? • What are the differences between developed and developing countries in terms of political risks? • Will indirect expropriation be more common than direct expropriation in the twenty-first century? • What are the basic legal requirements for a lawful taking of investors’ property under international law? • How does a lawyer distinguish between legitimate non-compensable regulation and indirect expropriation? 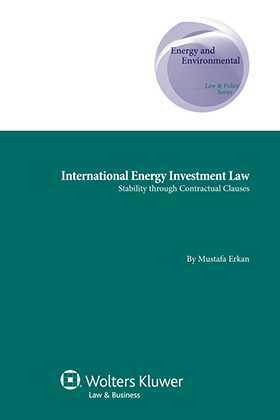 • Do stabilization clauses have a legal and functional value in international petroleum contracts? • Does international law recognize the binding effect of stabilization clauses as a limitation on a state’s sovereign powers? • Can renegotiation clauses provide stability for petroleum investment contracts? • What is the contribution of governing law and ADRs in political risk management? This is the only book that brings the rare and valuable knowledge and quasi-trade secrets of energy experts and practitioners to lawyers and negotiators handling transnational energy projects. It analyses the contractual clauses currently used by international investors to protect investments, the underlying philosophy, history, strengths, and weaknesses of each type of contractual clause, and the effectiveness of ADRs in reducing the risks. The doctrines and empirical findings that in this incomparable book open the door to truly effective use of these clauses.